Too many people think arthritis is a single medical condition. Further, there is a common misconception that this source of joint pain and stiffness only happens to older people as a result of wear and tear over time. 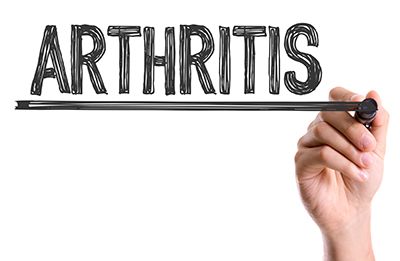 We believe the key to this misunderstanding is that one of the types of arthritis—the most common one, in fact—does develop in response to wear and tear. It is certainly important to know about that type, but let’s take a look as well at the other arthritic conditions that cause problem for patients’ feet. Osteoarthritis – As we mentioned, the common misconception that arthritis is a single condition is because people associate it with osteoarthritis. This form develops over time due to natural deterioration of the bone linings found within joints. Rheumatoid arthritis (RA) – While the first happens in response to natural aging processes, RA is an autoimmune disorder where the body’s immune system attacks protective tissues found in the joints. At this time, medical professionals do not completely understand the cause behind rheumatoid arthritis and there is no cure, but there are treatment methods that can relieve painful symptoms. Gout – This arthritic condition develops in response to a byproduct of food breakdown. Uric acid is the byproduct, and when the body either produces excessive amounts or cannot effectively remove it, the acid deposits into joints, crystalizes, and causes painful flares, most often in the big toe’s first joint. There are many other arthritic conditions, but these three are most likely to cause an issue in the foot or ankle. If you are experiencing painful, stiff joints in your lower limbs, it is likely that you have one of these forms of the disease and will benefit from the treatment we provide. Contact Dallas Podiatry Works by calling us toll-free at 972.566.7474 and asking any questions you might have. If you’d like, you can also schedule your appointment with either our Dallas or Plano, TX foot doctor offices today using our online form.